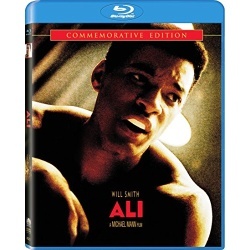 Superstar Will Smith gives the performance of his career as boxing legend Muhammad Ali in a visually amazing epic drama from Academy Award(r) nominated director Michael Mann. Muhammad Ali thrilled the world with his ground-breaking boxing victories in the '60s and '70s. But the man behind the legend is grappling with a tumultuous romantic life, his deeply held religious beliefs and the pressures of staying on top. A quick-witted, winning personality and strong friendships with close associates, including renowned newscaster Howard Cosell (Golden Globe nominee Jon Voight), help Ali "float like a butterfly and sting like a bee." But faced with a life-changing conflict outside of the ring, the famously opinionated boxer is forced to rely on the one person he knows the best: himself.